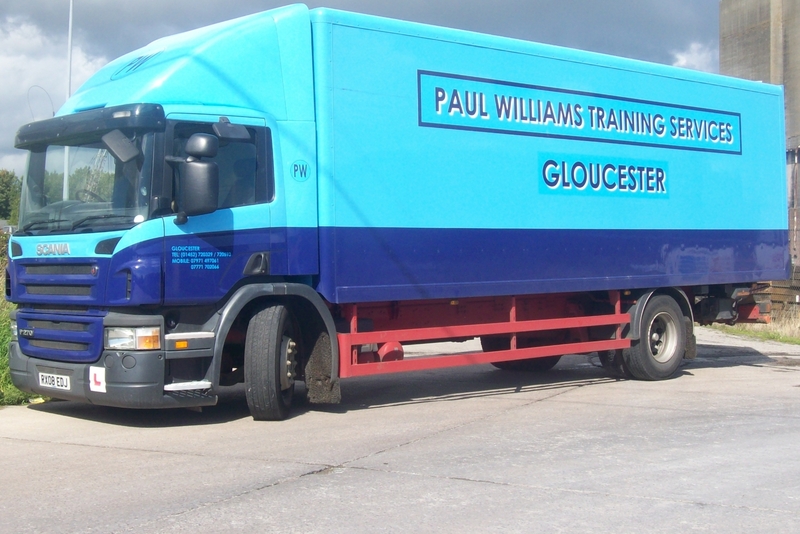 At Paul Williams Training Services we aim to provide the highest quality of HGV, driver CPC, and LGV training courses to customers in and around the Bath area. We cover all aspects of driving, from large trucks to horse boxes. No matter what driving license you are in need of our team are on hand to help you pass your test and be safe whilst on the road. As a private DVSA (Driver & Vehicle Standards Agency) approved vocational test centre, you can be sure that all guidance and tests undertaken are in accordance with government legislation. We offer one-to-one training for all customers to help maximise your learning and training experience. Our professional staff always deliver training in a friendly and relaxed manor, helping you to develop the skills you need. Having over 20 years of experience in the local area has given us the knowledge we need to deliver the highest standards of training. For more about our CPC courses, please do not hesitate to contact us today. If you are in need of a specific training course and cannot see it listed above, then please do not hesitate to get in contact with us. You can talk to our team today on 01452 720329 or alternatively you can fill in our online contact form. Our team work extremely hard to deliver the highest quality of training to our customers, no matter what their driving needs are. We are approved by the DVSA and dedicated members of the FSB (Federation of Small Businesses) and JAUPT (Joint Approvals Unit For Periodic Training). Our courses are usually put together once the assessment driving ranging from 1 to 3 days has been completed and is based on the skills that are assessed here. Training takes place between 8.30 am and 12.30 pm in the mornings and 12.30pm to 4.30pm in the afternoons. Tests happen on the last day of your training, giving you plenty of time to prepare. At Paul Williams Training Services we provide 7.5 tonne C1 courses and offer our own C1 vehicle to use for the test. C1 category typically refers to vehicles between 3,500 and 7,500 kg in weight, with a trailer of up to 750 kg. Any driver who passes this test will be able to drive rigid vehicles which weigh up to 7.5 tonnes. Vehicles in this category include LGVs such as delivery vans and we tend to train a lot of paramedic and ambulance personnel. Sometimes smaller horse boxes can come under this category if you passed your test after 1997, so it is worth checking which driving license you need for your vehicles. Our C1 vehicle has a 6-speed gearbox, large mirrors for observation around the vehicle whilst stationary and driving, and a small mirror for the examiner to use during the test. A camera system has also been fitted to the rear of the vehicle to help whilst reversing, which is especially helpful when reversing onto the trailer ball hitch. Training usually takes place over 4 hour long lessons between the instructor and yourself, giving you plenty of time to ask questions and gain guidance. Around 4 test slots are available at our test station each day and Saturday tests can be requested at an extra fee. If you would like to undertake a C1 course, please get in contact with us so we can pass on the paperwork for the provisional and send it across to the DVLA. Alongside our HGV and LGV training, we also offer professional coach training for drivers who are looking to use these vehicles. The Class D test is prepared for and completed with our 55 seater, 12 metre coach. The vehicle has a manual gear box with 6 gears and a large v8 Mercedes engine. Once we receive your completed medical forms and provisional, then we can book an hour long assessment drive and your bus theory test. CPC must be completed prior to the start of any lessons. Passing a category D test enables you to drive any bus which has more than 8 passenger seats and a trailer of up to 750 kg in maximum weight. Our professional and friendly team are there to help offer support and guidance throughout the whole process, from training to test day. With a population of around 88,000, the city of Bath is well known for its links to the Roman period. If you are in the area, then there are plenty of things to do. These include a visit to the Roman Baths, the Victorian Botanical Gardens, and the Jane Austen Centre. For more about the HGV and LGV training courses we have for people who are based in and around Bath, please do not hesitate to get in contact with us. Paul Williams Training Services take pride in the training courses that we provide. Whether you are in need of HGV training or help when it comes to towing a trailer, we are here to help. A typical course will either start at 8.30 am and finish at 12.30 pm or start at 12.30 pm and end at 4.30 pm. Once an assessment drive has taken place, then an estimate for the number of days required will be given. For more about our courses and how we can help you, please do not hesitate to get in contact with us today. You can call our team on 01452 720329, or alternatively fill in our online contact form.